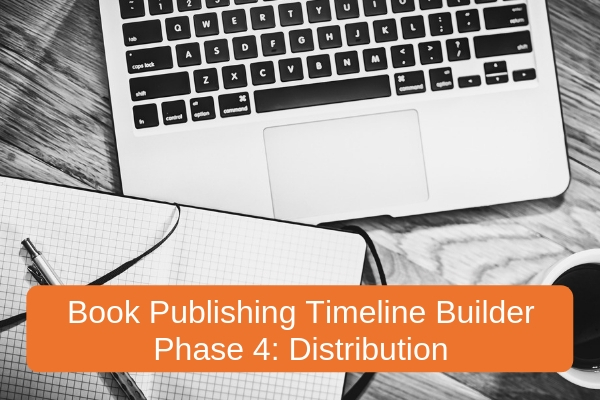 In this fifth installment of Bublish’s “Book Publishing Timeline Builder” Series, we’re diving into the Distribution Phase of the Publishing Process. Distribution involves placing your book into various sales channels (retail, wholesale, direct, etc.) where your book can be purchased. Distribution is often the last thing authors think about when they’re scrambling to finish writing or marketing their book. However, researching, assessing and choosing the correct distribution channels early in the publishing process is important. you don’t make costly mistakes in the production of your book, like choosing a format or trim size that a desired distribution channel doesn’t offer. you can maximize discoverability and marketing tools available in each selected channel, like the ability to set up a pre-order campaign and start advertising before your book is launched. In fact, understanding distribution—and which channels are important for your book’s success—is one of your most important tasks you’ll undertake as the publisher of your own work. It is access to broad distribution, largely without upfront costs, that has leveled the playing field for self-published authors and allowed them to succeed without the help of a major book publisher. Where Do Your Readers Buy Books, And in Which Format? The work you do during The Development Phase of your publishing journey should inform your choices when it comes to distribution channels. 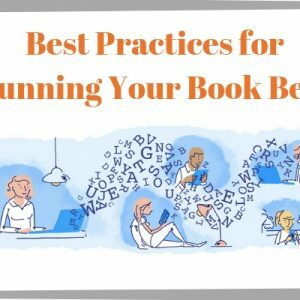 While you’re researching your target reader and genre during The Positioning Phase, you will also discover where readers in your genre like to buy books, and in which format. For example, romance readers, who consume books voraciously, overwhelmingly prefer eBooks to print and make their purchases at online retailers. Children’s books, on the other hand, are still primarily purchased in the print format by parents who visit physical bookstores. Librarians and teachers also purchase children’s books. 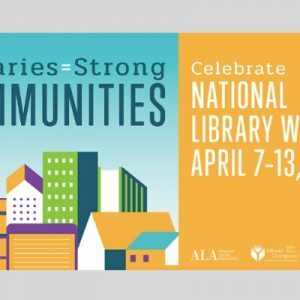 This means that your book needs to be available through a wholesaler like Ingram or Baker & Taylor, where wholesale discounts and returnability can be offered to bookstore buyers and librarians. Each format of your book has different distribution channels. Digital book (eBooks), for example, must be distributed through channels that offer eReader devices or apps to book consumers. Amazon, Apple Books, Barnes & Noble, Google Play, Kobo and others all offer distribution and sales of eBooks to consumers. Print books are offered in some of these same channels, but not all. Kobo and Apple Books, for example, do not sell print books. The popularization and improvement of print-on-demand technology—which means the book is printed at the point of sale—has simplified print book distribution for indie authors and changed the economics of the industry. With print on demand, authors no longer have to pay thousands of dollars upfront to purchase a print run of thousands of books. They also don’t have to fulfill book orders out of their garage anymore. Print on demand technology—offered by Amazon through KDP Print, Ingram Spark, Barnes & Noble Press, and others—provides a much simpler way to bring print books to market. Finally, audiobooks, which are growing in popularity, have yet another set of format requirements and are distributed through a different set of distribution channels. As an author, you can upload your book (in its various formats) to each of your selected channels or you can work with a distribution aggregator like Bublish. For a small percentage of each book sale, Distribution Aggregators manage the uploading of your book files, pull together sales and royalty reports from all your distribution channels, and help troubleshoot with when things go wrong in a distribution channel. With a Distribution Aggregator, you can manage everything from one dashboard. In the case of Bublish, we are expert in what we call “channel marketing,” which means we know how to take advantage of the discoverability and marketing tools available in each channel in order to gain maximum exposure and sales, at the best margins, for your book. Whether you go it alone or partner with a Distribution Aggregator for convenience and expertise, distribution is an aspect of your publishing journey that you want to understand and map out early. 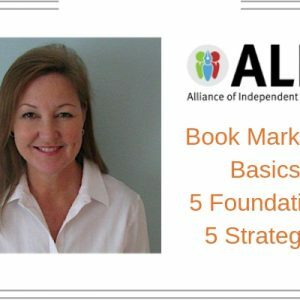 Your goal for the channel—For example, one goal might be for more sales at a lower margin (meaning you make less money on each sale, but sell more book units) while another distribution channel might be for maximizing profit on each book sold. Requirements—As mentioned above, some distribution channels are also wholesale channels. For example, if there are wholesale discounts required in the channel, this will impact the amount you will make on the sale of each book. It’s wise to understand this, so you can price your book accordingly. File formats and specifications—For example, which book formats does the channel work with and, for print, what are the size options available in the channel. Best practices—For example, does the channel provide guidance around basic and enriched metadata or optimizing the book’s record in a channel’s database. Marketing and discoverability opportunities—For example, does the channel offer advertising, pre-order campaigns, catalogs, email blasts? Take the time to identify these key opportunities. Channel Financials—Each distribution channel will take a cut from the sale of your book and deduct the cost of producing (or delivering) that book to consumers. Several of the channels offer calculators, so you can input information about your book and get an estimate of the costs involved. You should understand the financials of each channel in which you distribute your book as it will impact your bottom line as a self-publisher. Notes—Since the book marketplace is constantly changing and evolving, it’s good to have a place to update information about each of your distribution channels. Think of this spreadsheet as an evolving knowledge base. We suggest hosting your spreadsheet on a platform like Google Docs, so you can revisit and add information and insights as you learn the ropes of book distribution. 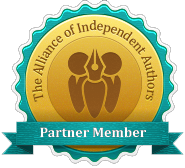 The opportunities have never been greater for indie authors to distribute their books to readers around the globe. Effective distribution, however, requires preparation and knowledge, so take the time to do research, ask questions and acquire the information. This way, you’ll be prepared to make informed decisions as the publisher of your own work.